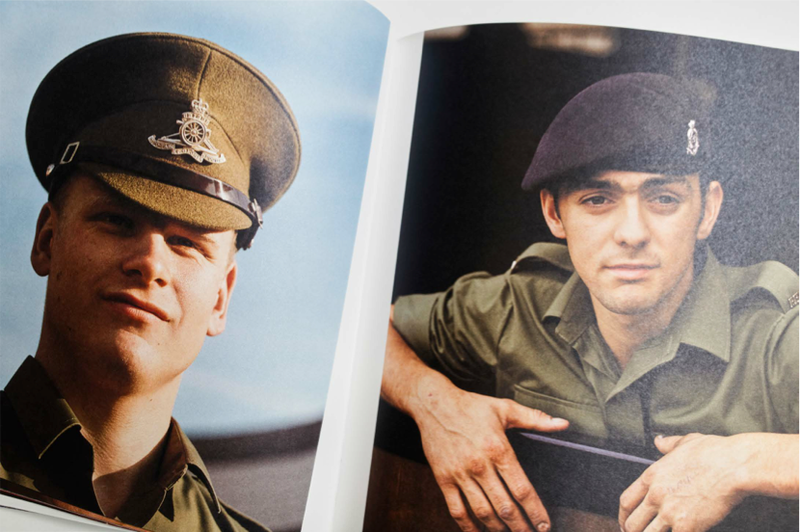 Ceremony is the second book by Alasdair McLellan, following Ultimate Clothing Company released in 2013. It celebrates the ceremonial troops of the British Army; featuring The King Troops Royal Horse Artillery, The Coldstream Guards and The Household Cavalry which unlike in many other countries have a long history of combat rather than simply ceremonial duties. This publication coincides with the tenth anniversary of the photographer’s first collaboration with these troops for a feature in Arena Homme Plus magazine in August 2006 and continues to be one of McLellan’s most cherished photographic projects. Ceremony is produced in a limited and numbered edition of 2000 copies by Paris based designers M/M. All publisher’s proceeds from this book will go to the ABF, The Soldier’s Charity which supports thousands of British soldiers, veterans and their immediate families.